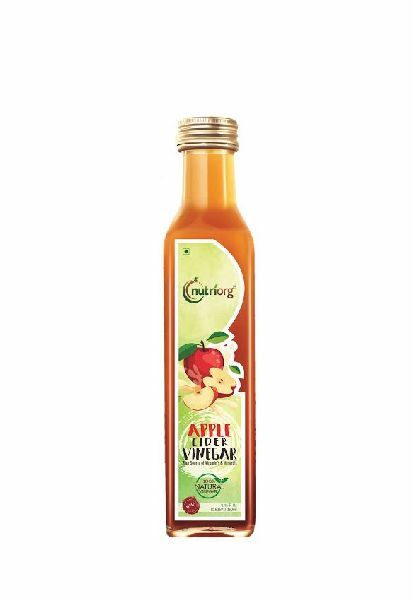 Nutriorg Apple Cider Vinegar is made from Organic apple cultivated in Himalayan Valley. Nutriorg Apple cider is 100% Pure Raw and Unfiltered. Nutriorg Apple Cider Vinegar helps in Detoxification of the body and strengthening of the immune system are suitable to both genders. Lowering blood sugar levels and cholesterol makes it a safer choice for the heart caring enthusiasts. In short, it is a every home must keep remedy which keeps many diseases at bay. Consume 1table spoon twice a day for better result. you can mix apple cider in full glass of water or you can spread in your green salad.